Stock market trading is how stocks are bought and sold. In order to understand how the stock market works, you need to first understand what a stock is. When somebody “has bought stock”, that means that they have bought a share of the ownership of a company. The more shares that you own, the greater your ownership stake. Stocks, equities and shares are all terms that are used interchangeably. So when you own shares, that means you own a portion of the company and therefore you get a portion of the profits, which are paid as dividends. Stocks are limited liability, which means you may have partial ownership but you cannot be held liable for anything the company does, such as fall into debt. Stock market trading takes place on exchanges. Hence the term “stock exchange”. This is where prices are determined for the stocks and buyers and sellers are able to interact and do business through brokers. Traditional stock markets and exchanges had a physical location, where all buying and selling took place on the trading floor. However, with technology, stock market trading has been making a move to being virtual – an online network that more people can access quickly, simply and cheaply. 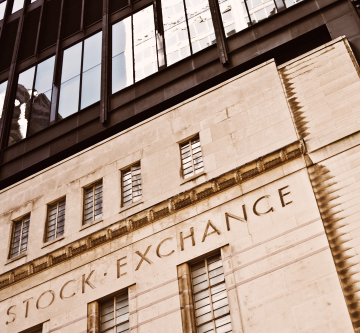 Stock exchanges are a way for buyers and sellers to meet in a central location, securely. If you have stock to sell, you know where to go and if you want to buy stock, you know where to go! Having a central exchange, makes the buying and selling of stock easier for all parties involved. The primary market involves the creation of securities through an IPO. The secondary market is where previously issued securities are traded without the issuing companies being involved. Stock market trading as we know it, is a secondary market because the companies whose stocks are being traded are not involved in the trades in any way, shape, or form. For the purposes of this article, we will be discussing the secondary market. Supply and demand are the two forces that shape the price of stocks. Prices go up when there is a greater demand for a stock than there are available supply. Prices fall when there is more supply available than people want to buy. In order to trade on the stock market, investor and traders need to have a strategy to follow. The best way to lose money on the stock market is to just randomly buy and sell stock. Experts at stock market trading pay close attention to the financial news as it comes out to see what could affect stock and then they try to determine if it will make that stock go up or if it will go down. To buy stocks on the stock exchange investors need to go through a brokerage. A brokerage is licensed to able to buy and sell on your behalf for a commission. If you are a novice trader and you are unsure of what stocks are the best and need some guidance making the best decisions than you will need a full-service brokerage. They have people who can help you with your investment decisions. If you do not need personal advice, you need a broker that will let you make electronic trades that they will then fulfil for you based on your instructions. In order to determine how well stocks are doing, you will need to look at the stock quotes in your newspaper or online. The first two columns are the 52-week high and low of the stock, listing the highest price and the lowest price that the stock has traded over a span of a year. The third column lists the type of stock and the company name. The fourth column lists the ticker symbol, or the stock’s identifying name. The fifth column is the dividend per share and will be blank if no dividends are paid out. The sixth column is the dividend yield. The seventh column is the price/earnings ratio. The eight column is the trading volume. The ninth and tenth column is the high and low of the day for that stock. The eleventh column is the closing price from the prior market day and the last column is the net change. Thanks to the internet, getting stock quotes is much simpler these days. But the terminology remains the same. Many traders enter the markets for the first time via the stock market. Some never progress any further. Some prefer to just trade stocks. However for more experienced traders other assets can offer attractive alternatives to stock market trading. Commodities and Forex are the most popular alternative markets.